Here's all the recipes listed under Regional Oatmeal along with the comments posted by the breakfast lovers that submitted them. "A hot cereal made with cornmeal. Serve it just like oatmeal. It's tasty. It's different. 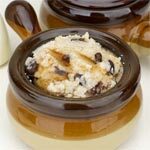 You can make it your own adding your favorite mix-ins - raisins, maple syrup, etc." "Truly Southern & a Great way to start the day... 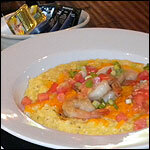 Attend a Shrimp & Grits festival before you pass on. 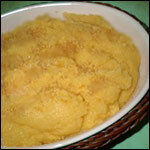 Don't use instant or quick-cooking grits for this one." "There's no cherry like a Michigan cherry! This oatmeal will taste good with dried cherries from any state, but get them from Michigan if you can." "If you can, use traditional dry salt and cured bacon." "A creamy, sweet treat from the south. You can experiment with this recipe. Anything you might add to oatmeal, you can also add to these grits. Try chopped nuts or fresh berries for fun variations."